V Go users will be excited to learn that the new Carry Bags are now available. Bags feature a comfortable shoulder strap and custom foam padding, which make it easy to transport your VGo from one location to another. 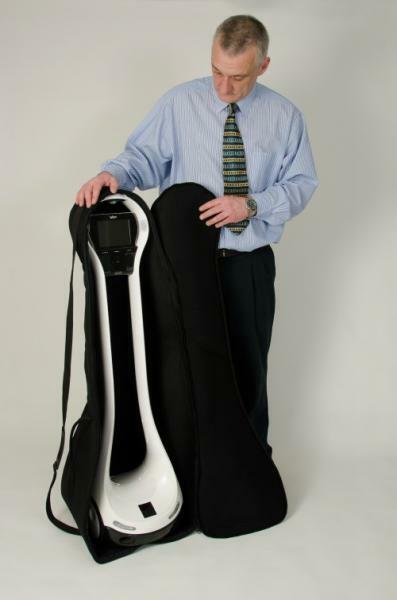 The VGo Carry Bag is fully padded to protect the VGo as you transfer it between buildings or to a home or to an event. The VGo is zipped inside in one piece (full size). It has a balanced handle and shoulder strap - you carry it horizontally like you would a guitar. The battery can be left in the VGo or removed to make it lighter - it's up to you as to how much weight you want to carry.